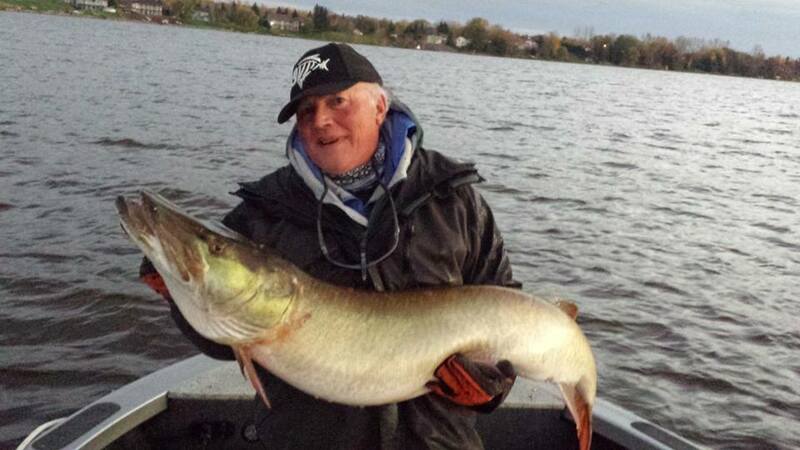 Ever Catch the Biggest Musky of Your Life While You Were Cursing Them Out? Musky fishing means paying serious dues. 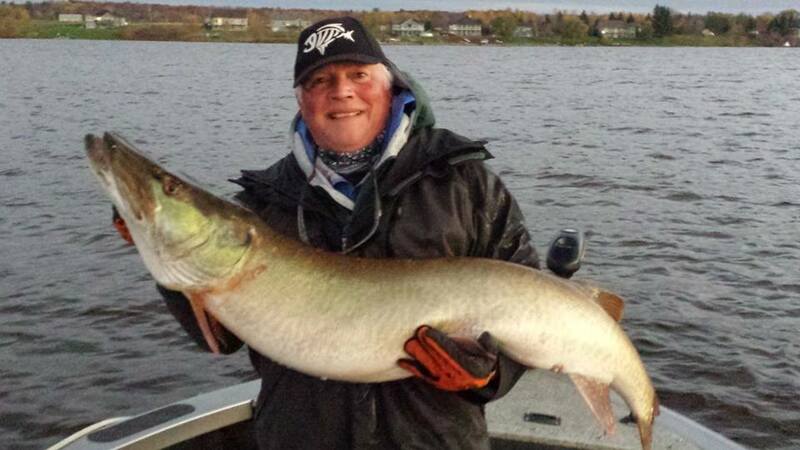 Despite having achieved guru status in the musky world, Wally Robins was getting it handed to him. We Two Shimano and Loomis guys had a couple of days booked to fish in a bleak and windy cold front. On day one we bounced around a lot and the fish completely ignored Wally’s casts for 10 plus hours in a row. I did manage to score a decent fish on a Bobbie Bait in four feet of water. The line of the trip came about nine hours into the first day when after a long period of silence Wally pronounced with the utmost disgust ‘I can’t wait for the darn day to end’ (or something like that). That’s what happens when all you throw is bulldawgs all day. On day two my back was sore from too much casting of late. Maybe 15 days in a row was a little much… Wally’s arm was in serious pain from a previous muscle tear that he was aggravating more with each cast. All we had for hope was the big lunar peak near sunset. Wally hates peaks and says that ‘peaks are where hope and dreams go to die’. They haven’t been good for him this year, but this one made up for all of that. On one of the last casts of the day, beat up, sore, disgusted, and literally cussing out the muskies, Mr. Robins caught a fish with an almost 24 inch girth. Only in November. It is not the longest fish of his life but it was the heaviest at over 35 pounds! 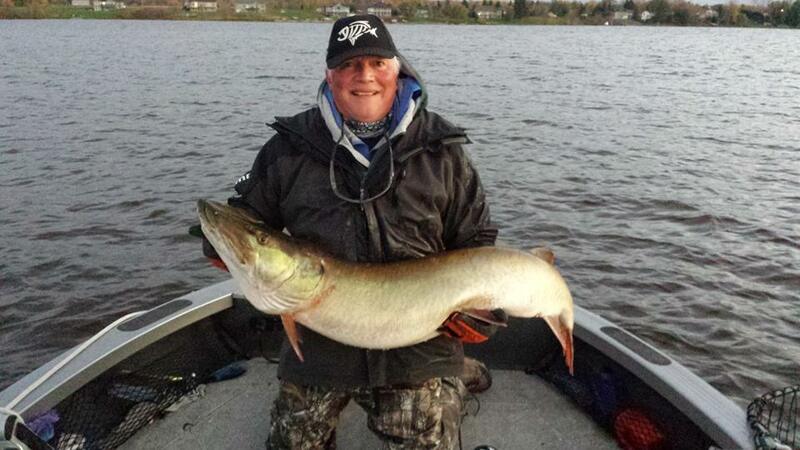 The musky world is far from fair and it’s nice when hard work does pay off. Wally is successful because he is one of the hardest working guys on the water. Congratulations my friend. You earned it! Shimano, Loomis and PowerPro Rock!